Pixie Lott is set to expand her Paint by Pixie Lott hair range to include a fluorescent range that will glow when UV light hits it. 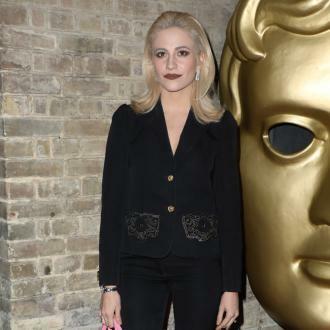 Pixie Lott is set to expand her Paint by Pixie Lott hair range. The 26-year-old singer launched her hair dye line in September 2015, and the star is set to launch her third range of products this summer, which will include Light Up Your Night with Fluro capsule that allows customers to opt for either a neon pink or electric blue shade which will glow in the dark when a UV light hits it. And the blonde-haired beauty ''loves'' the new creations because it has a ''massive impact'' on her aesthetic when she is performing in a club. The 'Mama Do' hitmaker - who is engaged to model Oliver Cheshire - will also add more metallic shades that are suitable for blonde hair to her existing 15-piece capsule. The metallic line will feature four shades in graphite grey, silver shine, slate grey and black shimmer, which the 'The Voice Kids' judge ''loves''. The new drop will also include an Instant Festival Colouring Chalk Pen Multipack to create a rainbow-style look with the four pens that come in apricot, bright pink, Hawaiian pink, red, turquoise and voile. The merchandise can be used to create a full blown multi-coloured head of hair and an ombre or balayage effect. And Pixie relies on the merchandise to make her locks ''stand out'' during the festival season.